I think I mentioned before that our family decided to change up our adult gift exchange and go with a ‘My Favorite Things’ theme. Each adult brings 3 of something that they enjoy in the $5-$15 range, them we stick them all on the table and everyone takes turns picking one fun goodie til everyone has three little gifts. I’ve been going back and forth trying to decide what I’ll bring, and finally I decided to make some small bags using a favorite fabric just like the fabric I used to make myself a computer bag years ago. The bag has worn like iron and still looks nice, despite many trips to the coffee shop and quite a few airplane rides as well. 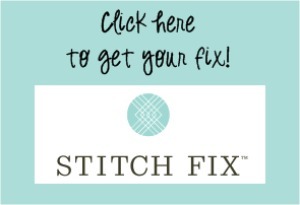 I did a bit of hunting on Pinterest to find a cute (free) bag pattern. Since I had a bunch of fabric remnants, I was hoping to find a pattern that would showcase two fabrics side by side. I wanted something medium sized, and I wasn’t too hot to mess with sewing in a zipper. Finally I came across the Madeleine Bag Tutorial featured on Imagine Gnats. It comes complete with a downloadable pattern and lots of picture to make the various steps look reasonably understandable. Cutting out the pieces for three bags at once, and ironing interfacing took me a couple hours one evening. The next day I spent about three hours doing the actual sewing, and here’s what I ended up with! 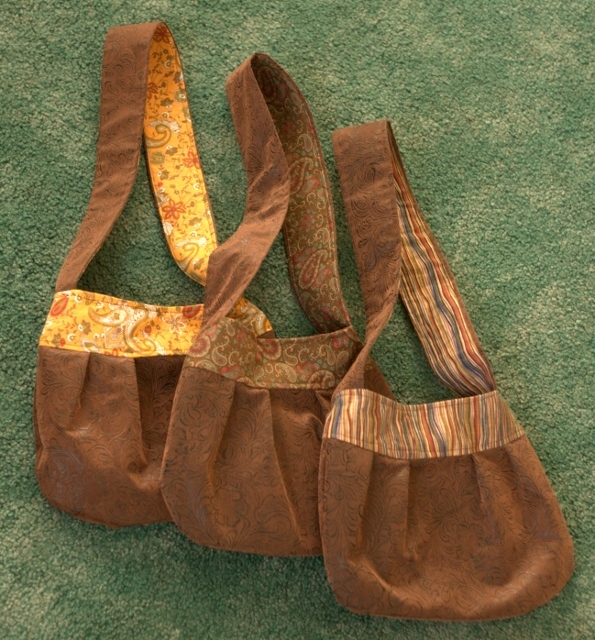 All three bags together used maybe 2/3 of a yard of the brown fabric, and another 1/3 yard of each contrast fabric. Since I already had the interfacing, and the contrast fabric (I love to grab remnants at Wal-Mart when I see them) the project was super affordable. The body of each bag is about 10×10 inches — big enough to hold a reasonable number of items without being so cavernous as to lose items. 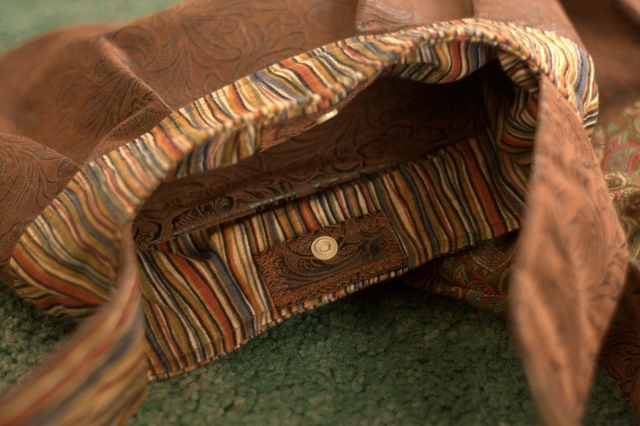 Here’s the inside of the brown paisley bag. I added a snap at the top edge of each bag and reinforced the lining with a bit of the brown ‘leather’ so that the snap wouldn’t rip through. 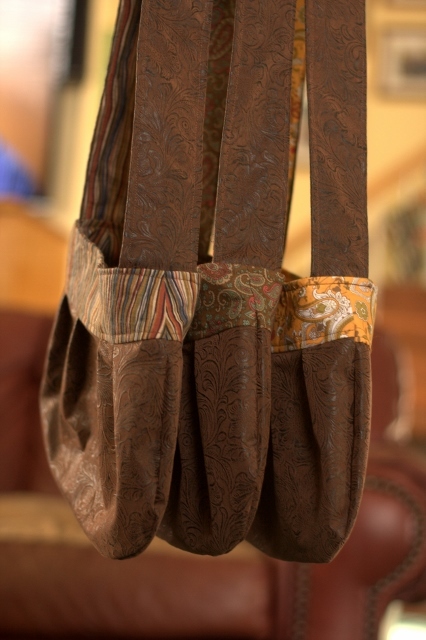 Each bag is fully lined with the contrast fabric, and has an inside pocket big enough for a pen and a cell phone. The brown stripe might be my favorite. I really like the way it goes with the ‘leather’ on the outside of the bag. Here they all are side by side. These are so cute that I am seriously tempted to make half a dozen more, if I could find the time. Maybe next Christmas? I might need to make one for myself too. Now that I’ve done the pattern a few times, I’m pretty sure I could whip one out in an hour or so. Such fun! Super job. Handmade holidays? They’re tote-ally purse-uable! I love this idea Mary! We now have more adults than littles and are always looking for new ideas to make our Christmas time together more special, fun and meaningful. I also really like the bags you sewed. 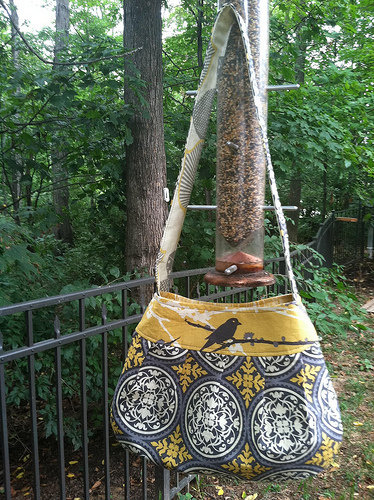 Thank you for the posting and for the link for the free pattern…we’ll be making some of these beauties at our home! I would choose the yellow! I absolutely love this idea for a gift exchange! These are lovely! 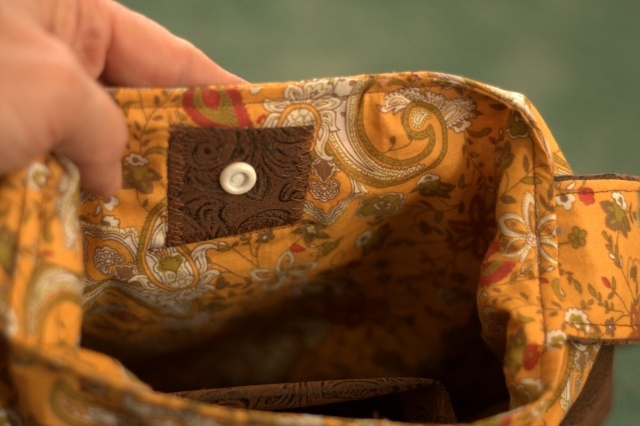 My favorite is the yellow paisley lining. Adorable! LOVE those! You are so creative! These are lovely. Also a nice idea for Adult gift exchange, although I doubt a guy would grab first for one. My favorite would be the brown non-stripe one in the middle of the top photo. 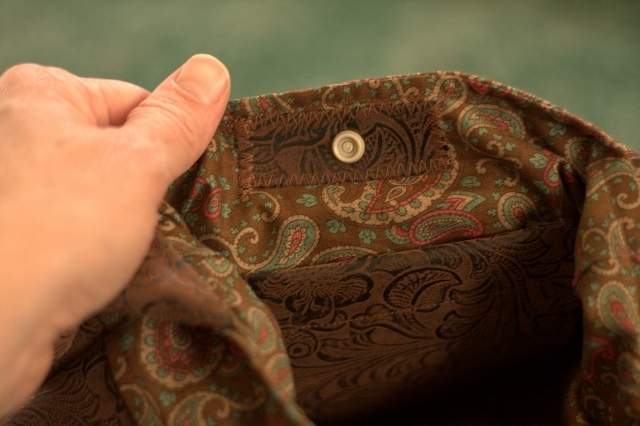 I think I like the brown paisley one. (There’s a sentence you’ll almost never hear me say again!) They are all adorable, though, and I’m sure they will be popular. If you decide to sell a few, make sure to post the where/how to buy them.